Youth Programs at Lawn Lanes in Chicago, IL. 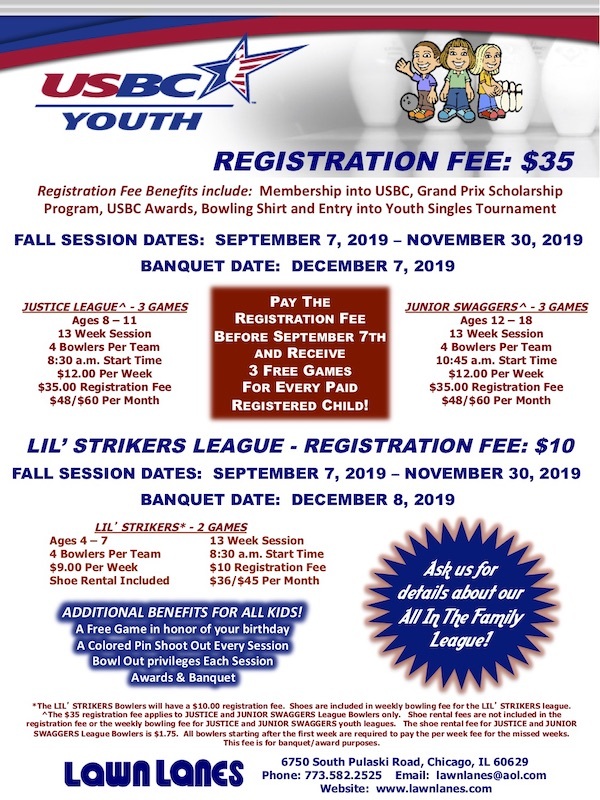 Get the details about our Youth League Program. A representative will contact you within 48 hours of your request. Submitting this form does not guarantee your spot in any league. Thank you.